Gentoo penguins in Antarctic at thomasdolanphotography.com. Average Weight: 5.5kg - 12lb. Average Height: 71cm - 28 inches. Breeding Season: December - March. Estimated world population: - 387,000 breeding pairs, status not clear, may be decreasing or possibly increasing in the south of the range, there can be quite large year-to-year fluctuations in the population size. 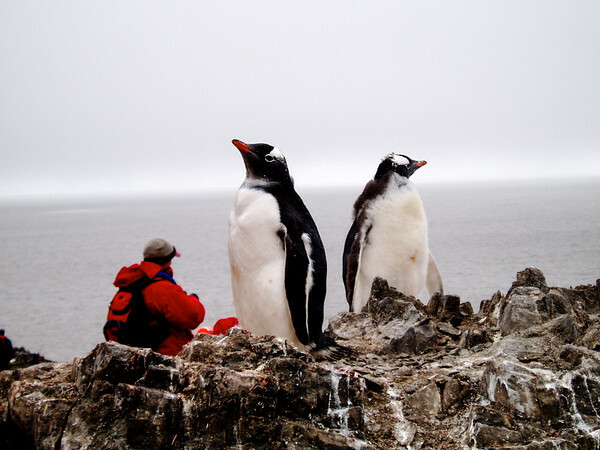 Colonies tend to be much smaller than other similar penguins, the largest has around 6,000 breeding pairs.